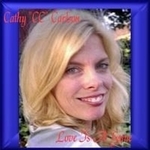 Sign up for Broadjam today to follow Cathy Carlson, and be notified when they upload new stuff or update their news! 2002 – “Passions” NBC Daytime Drama “Girls Will Be Girls” Co-written with John LeGrande, Performed by "The Black River Girls". 2001 – “All My Children” CBS Daytime Drama “Even The Angels Knew” Co-written with Craig Lackey and Marty Axelrod. Performed by "The Black River Girls". 2000 – “Passions” Daytime Drama “Even The Angels Knew” 1999 – “Letters From A Killer” HBO Movie starring Patrick Swayze Co-wrote the dance song “Desire” for Patrick Swayze and "Daddy Tried" for Movie “Letters from a Killer”. Dance Song "Desire" co-written with Marty Axelrod & Mr. Dyer's Daughters.